(Thera) is one of the most popular destinations, not only in Greece but also throughout the World. Located in the South Aegean, with an area of ​​76 sq. km. and about 15,500 census population. It consists of a cluster of islands which are: Thirassia, Nea Kameni, Palea Kameni, Aspronisi and Christiana islands. The island has a large number of attractions for every traveler. 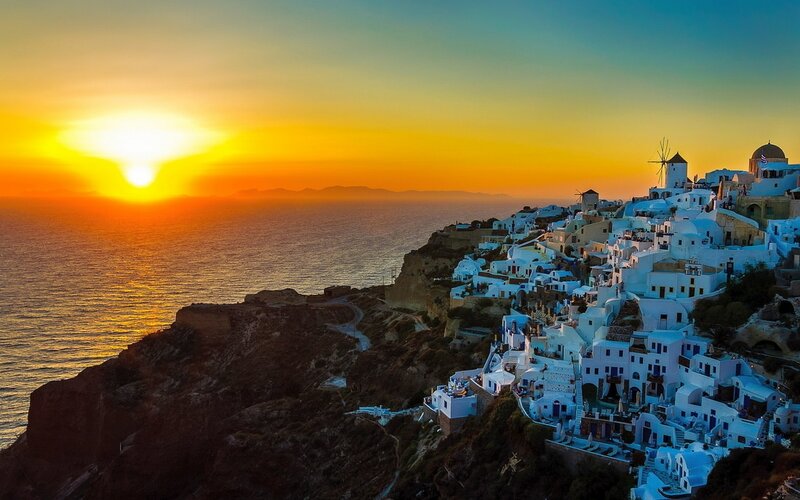 The city of Oia, with its famous sunset, the Museum of Prehistoric Thera in Fira, the ancient settlement of Prehistoric Thera in Akrotiri, the unique caldera in Fira,Nea Kameni where you can climb up to the crater of the volcano and many others. Santorini offers all forms of entertainment for everyone. Bars, restaurants and clubs to suit every taste. Favorite destination for food and wine lovers, because of the unique dry white wine selection that Santorini offers.